The advent of new technologies has enabled musicians to interact in hitherto unheard-of ways. It's routine now to read about recordings that were assembled from sessions recorded by individual musicians in different studios, on different continents. Music composing software has changed the way musicians think about their compositions and opened up new possibilities for the performance and reproduction of music scores. Computer-based digital editing tools have permitted entirely new ways of assembling and rearranging music, eliminating the painstaking process of cutting and splicing tape. 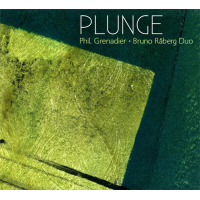 On Plunge, bassist/composer Bruno Raberg accesses some of these technologies to creatively alter and reconfigure a series of improvised duets with trumpeter Phil Grenadier. 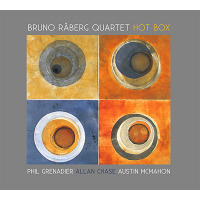 While a good number of the album's mostly brief tracks are presented as otherwise normal-sounding, albeit somewhat stark, trumpet/bass duets, an almost equal number contain sounds that have been subjected to considerable signal processing. Never heavy- handed, and tending towards the atmospheric, the results are not unlike some of Rob Mazurek's work with his various Chicago Underground Duo / Trio/Quartet groupings. On the other hand, the chorused trumpets on "Last Train to Seville" sound a bit like something that Jon Hassell might have done a few years ago. One of the album's few composed pieces, the duo's bionically-enhanced rendition of Ornette Coleman's "Lonely Woman" is positively kaleidoscopic. Different sections and renditions of the tune appear and disappear in a digital haze. 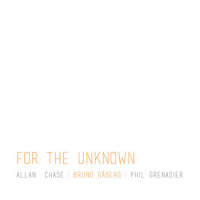 Here, Raberg's preference for unadorned sounds give the piece an appropriately timeless quality. Elsewhere, as on the oddly funky "Ushas / Quadratic," the application of sundry post-production enhancements gives the music a particularly Miles Davis-like sound. The fragmentation and multiplication of Grenadier's muted and unmuted trumpets, altered with digital fuzz, ring modulator, and delay, evokes Miles' tripiest work on Get Up With It (Columbia, 1974). As an improvisor, the mellow-toned Grenadier displays a warm, somewhat cracked lyricism and wry humor that works well in these otherwise intellectual-leaning surroundings. 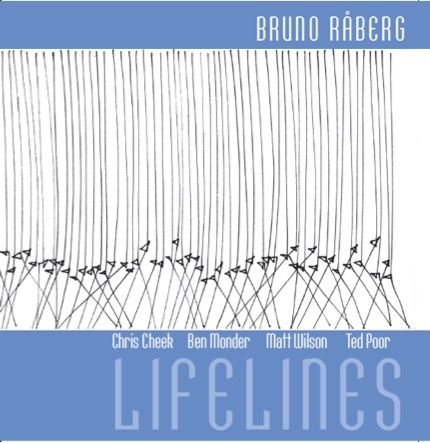 Raberg, a veteran jazz bassist who's done quite a bit of work in the modern mainstream vein, lets his freak flag fly high. He waxes percussive on "Heartland" before coaxing some almost sitar-like sounds out of his bass as multiple Grenadiers go dancing in his head. The slow-moving, attenuated, echoic sound field of "Triangulum" suggests a desolate alien planetscape, and would make an ideal soundtrack for an arty sci-fi flick. Electronics aside, the bread-and-butter on Plunge is the interaction between two distinctive and seasoned jazz musicians who obviously have a lot to say. 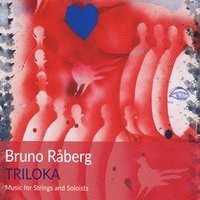 Raberg is to be commended for applying modern technologies in such a way that the music is made anew without losing any of the properties that would make someone want to listen to it in the first place. That may sound like faint praise, but it isn't. 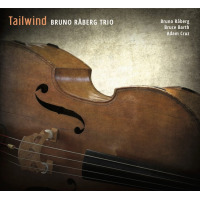 Raberg's obsessive focus on the instant magic of improvisation readily evident on tracks like "Lirazel," "Sand Clock," and "Moving Cycles"is the prime directive on Plunge.